Building Site Cleaners National. We will Clean Up After You Have Finished Your New Build or Refurbishment. We offer a full service professional clean up after you have finished. 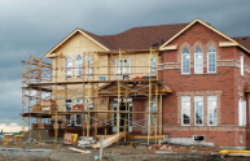 Construction Site Cleaning, Building Site Clean Up, Whatever you have been doing whether it is a new build or a refurbished house or factory, we will go through the site and give it a thorough clean, leaving it ready for your customer to occupy. A building almost finished and ready for us to come in and clean ready for your clients to occupy. A building finished and ready for your clients to occupy. We can come in and give your building a good sparkle clean from top to bottom. Buildings that are subject to a Legal Takeover or Legal Handover, we will manage the process for you leaving you to manage your day to day affairs. When we are finished you can be confident that the building will be in pristine condition.